Zillow has positioned themselves as the dominant authority in online real estate. Just because Zillow ranks extremely well for most “real estate Google searches” across the country - does that mean they are the best way to find homes for sale in Wilmington NC? Does Zillow display all of the active listings in Wilmington? Are the Zestimates provided by Zillow on Wilmington properties accurate? Should I be using Zillow to find my next home in Wilmington? is Zillow the best place to search for Wilmington homes for sale? ...we need to examine exactly what Zillow does and how they get their real estate data. Many people use Zillow for Wilmington real estate searches because they feel they get MORE information than if they were to use a local brokerage search. Many home buyers and home sellers are under the impression that if they use a local real estate broker website, they will only see a portion of the active listings in Wilmington. Many home buyers feel that only a 3rd party real estate site, such as Zillow, can provide all of the listings from ALL the real estate brokers. This is an understandable misnomer and can lead to quite a bit of frustration when searching for Wilmington NC real estate. Zillow is a marketing website - which just happens to focus on real estate. The people that run Zillow, including their CEO, Spencer Rascoff - are NOT real estate brokers, agents or REALTORS. Although the public now looks to Zillow as real estate experts, truthful, nothing can be further from the truth. Zillow has leveraged real estate SEO to position themselves in Google searches, above many of the local brokers. As a publicly traded company, with millions to spend in advertising - Zillow has successfully sold the illusion of being a real estate company. In the past, even the President of the United States has asked Zillow (Spencer Rascoff specifically) about details of the real estate market. That's really a shame since he doesn't hold a real estate license in any state. As a matter of fact, when Spencer sold his home, it sold for 40% less than the Zestimate! 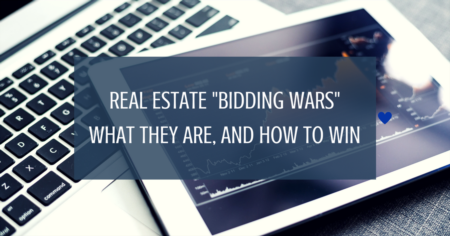 How Does Zillow Get Listings To Display? Most people are under the impression that Zillow "auto-magically" has every new listing in the country. This couldn't be further from the truth. Since Zillow is a 3rd party and doesn't have any listings themselves, isn't a “member” of ANY MLS, and has no consistent way to “get” real estate data , it's critical to understand how Zillow gets listings on their website. Direct upload from the agent or broker - this requires the local agent to create an account, manually upload photos and the information on the listing. This also requires the agent to manually update any pricing to the property as well as remove it from Zillow when the home goes under contract and sells. Broker Level Data feed from the MLS - Some real estate brokers have a data-feed from their local MLS that automatically updates new listings, photos and information. This type of feed must be set up and implemented at the broker level - a 3rd party contract between the broker, Zillow and the MLS. It's important to understand that in this instance, this will ONLY display that particular broker's listings -- NOT the entire MLS. Franchise Data Feeds - Some real estate franchises, such as REMAX or Realogy have set up data feeds from their systems to Zillow. 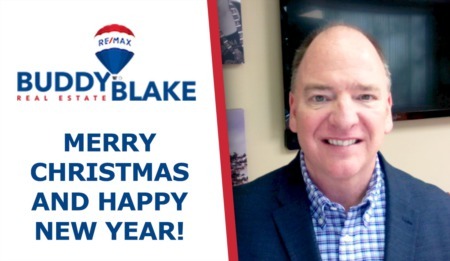 This can be more effective than individual broker's listings -- since it will include ALL of the local REMAX offices--- as opposed to one individual company. Opt In from the MLS - Some local MLS’s have implemented a data-feed directly to Zillow. But, each broker must log in and “turn it on” since the default may be “opt-out”. If the local MLS has implemented this, and the local broker has Opted In -- this, in theory, will provide the most up-to-date listing inventory. Once again - this will only be the listings by that particular broker -- NOT all of the active listings. In this instance, each and every real estate broker would have to “opt-in” for Zillow to have an accurate listing inventory. Full Listing Data Feed from the MLS - This is the ONLY way that Zillow would have all of the listings from ALL of the real estate brokers in any particular area. Although Zillow has been pushing for this for years -- each market (and MLS) is independant for implementing a feed to Zillow. We currently have almost 900 MLS across the country. Each of which would be implementing this individually. It is important to note that many local real estate brokers in Wilmington, because they are members of the local MLS, get the most updated listings to display on their websites. The more advanced Wilmington real estate searche s are updated directly from the MLS every 15 minutes. So does Zillow get all of the listings from the MLS in Wilmington? The local MLS in Wilmington does NOT send ALL of their listings to Zillow. 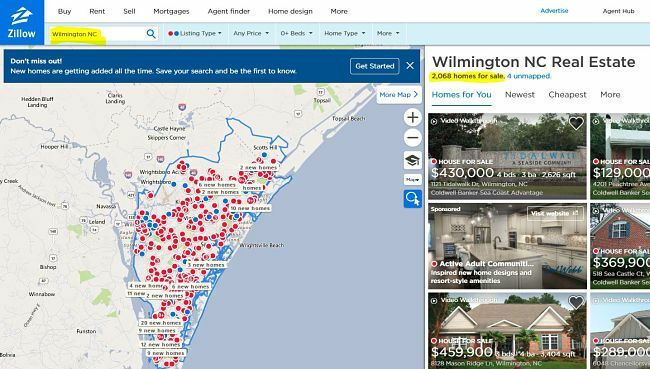 Although the local MLS board in Wilmington used to syndicate listings to Zillow -- they have stopped due to their inaccurate data displayed and it’s now left up to the broker’s to choose. According to Zillow - The accuracy of their data (for Zestimates) in the entire state of North Carolina is pretty low. They claim that 85.9 percent of the time, their Zestimate is within 20 percent of the sales price for all of the homes in North Carolina. They claim they are within 10% of the sales price of homes sold in North Carolina only 73.6% of the time.This is pretty bad. Keep in mind, with the median list price for homes for sale in Wilmington are generally around $350,000, these are huge variances in home prices. If a Wilmington REALTOR were off by $70,000 on the price of an average home - it would be severely frowned upon in the marketplace. Some may say that we are using the Zestimate accuracy to look at the accuracy of the listing database. Yes we are. 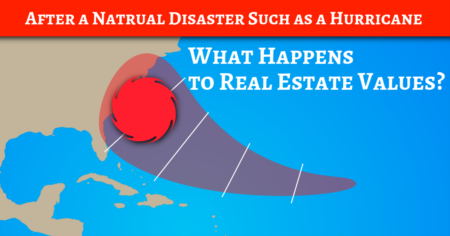 For this article, we are referring to Zillow in Wilmington - which includes their Zestimates. Although their accuracy of the Zestimate isn't directly tied to the accuracy of their current homes for sale, we felt this was an important stated statistic. Remember, these are the statistics ON Zillow BY Zillow themself. As for the accuracy of Zillow’s listing database of homes in Wilmington, let's take a look. 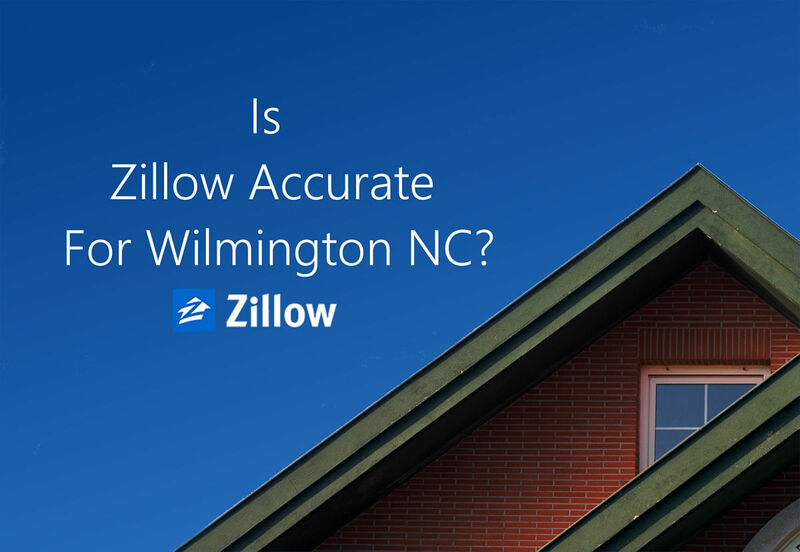 How Accurate is Zillow for Wilmington Homes For Sale? Now knowing that Zillow, by their own estimates, are way off when it comes to the homes values, where they stand for showing all of the current homes for sale in Wilmington? The local property search, as completed on 10-16-2017 shows 1,174 active residential listings. When performing the SAME search on Zillow on the same day - we see 2,068 homes for sale. WOW - that is a pretty huge difference….Zillow must have even MORE active listings than the local broker site right?? WRONG! Since the MLS is the gold standard of local property listings, the IDX feed to the broker site, is a much more accurate representation of what is ACTUALLY for sale. All real estate agents and brokers that participate in the MLS are forced to upload all of their listings to the system. Failure to not do so, can result in fines to the agent and ultimately suspension from the board. For a real estate agent -- that means “out of business”. How Does Zillow Show More Listings? One would think that the website showing MORE homes for sale would be the more accurate. That is NOT the case in real estate. We mentioned earlier that in Wilmington, Zillow does NOT get a direct feed from the local, Wilmington MLS. This puts the process of getting Wilmington listings on Zillow in the other “less accurate” bundles. Keep in mind, when a new listing is taken by a local REALTOR or real estate agent, they are sure to put that listing up on many websites to attempt to attract a buyer for the property. For a real estate agent, when a home goes under contract, the work shifts from Marketing The Home For Sale -- to Working Through The Contract To Closing. This means that in many instances, the listings are NOT removed from Zillow - whether that be an oversight or a strategic action is for another article. All of this means that if YOU are looking for homes in Wilmington NC - you should NOT use Zillow for your property search. You will be looking through tons of listings that are no longer available - which can be very frustrating for a home buyer. If you want to see ALL of the listings in Wilmington by ALL real estate brokers - click HERE. At the end of the day, we can safely assume that almost half of the current homes for sale on Zillow, when searching for homes for sale in Wilmington are not currently NOT for sale. Ready To Talk To a Wilmington Real Estate Expert?